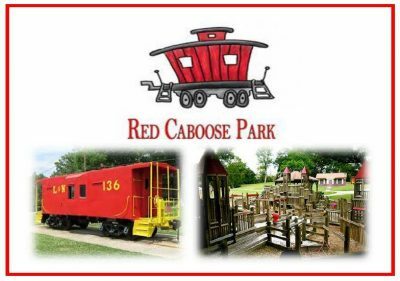 The Red Caboose Park Rebuild Fund was established by The Bellevue Community Fund, in partnership with the Metropolitan Board of Parks and Recreation, to raise private funds for the Red Caboose Park Rebuild Project. Bellevue volunteers got together in 1996 to build Red Caboose Park & Playground as part of Bellevue’s Bicentennial Celebration. Since then, countless families and neighbors from Bellevue and beyond have enjoyed the playground, the summer concerts, and the many activities that have taken place over the years. The Rebuild will be completed in the Spring with assistance of volunteers and unveiled at a Dedication Ceremony on June 1, 2019. Build Sponsorship: Donors who make contributions of $1,000 or more will receive public recognition at the park, ceremony, and on social media at these levels. Personalized Bench Sponsorship: For a donation of $2,200, individuals and businesses interested in personalizing a bench in the park. Personalized Brick Donation: Individuals and businesses may select from 4×8 or 8×8 bricks to personalize for donations ranging from $75-$150. Details about brick selection and payment is available from That’s My Brick. Commemorative Train Donation: Donors who wish to have their own commemorative caboose, may make a $20.19 donation. Commemorative cabooses will be available for pickup at the June 1, 2019 dedication ceremony. The Rebuild project welcomes all donations about and additional general donations. Gifts, other than the brick purchase can be made by credit card from this page or by mailing a check to the Red Caboose Park Rebuild Fund, c/o The Community Foundation of Middle Tennessee, 3833 Cleghorn Avenue, Nashville, TN 37215. Any questions about making a donation may be directed by email to Amy Fair or by calling 615-321-4939.